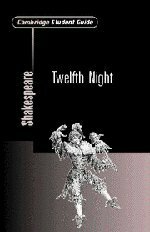 What is Twelfth Night about? This Cambridge Student Guide will help students to evaluate the historical, social and cultural contexts for a broader understanding of Shakespeare's play. Contents include an introduction; detailed running commentary on the text; insight into historical, social and cultural contexts; analysis of the language; an overview of critical approaches and different interpretations; essay-writing tips and lists of recommended resources.